KENNESAW, Ga. — Yamaha/Skeeter pro Jay Yelas, whom many say is the perfect ambassador for bass fishing, added the sportâ€™s most sought-after honor to his list of accomplishments Saturday by winning the 32nd 2002 CITGO BASS Masters Classic championship on Lay Lake in Alabama. 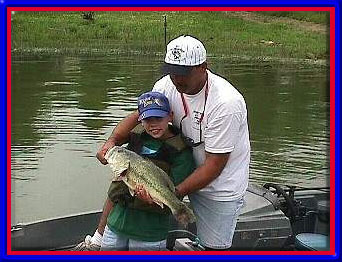 A Yamaha/Skeeter pro team member, Yelas led all three days of competition, catching 45 lbs., 13 oz. 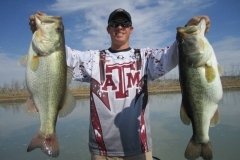 of bass, earning him the winnerâ€™s prize of $203,000 in cash and prizes. The Classic title is the second major title this year for Yelas. 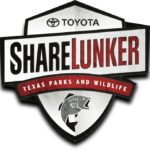 He was named this yearâ€™s Angler of the Year in the highly competitive FLW pro fishing tour, making his hometown of Tyler, Texas, the center of the professional bass fishing world. Although he led all three days, the top pro anglers in the country, including several teammates challenged Yelas on the final day. They were: 6. Ken Christ, Kansas City, Mo. 7. Gary Yamamoto, Mineola, Texas 10. Brent Chapman, Shawnee, Kan. 11. Bud Pruitt, Spring, Texas 12. Todd Faircloth, Jasper, Texas 20. Kelly Jordon, Mineola, Texas 23. 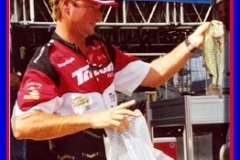 Alton Jones, Waco, Texas This Yearâ€™s Classic was Yamahaâ€™s first trip to the Classicâ€™s Winnerâ€™s Circle since 1994 when Brian Kerchal won as the first amateur from the BASS Federation ranks to win the title. Itâ€™s also Skeeterâ€™s return to the Winnerâ€™s Circle with the most recent being 1984 when Rick Clunn, then a Team Skeeter member, won the event. At 36, Yelas became only the third winner to lead the Classic from wire to wire. And with his 4-lbs., 13-oz. 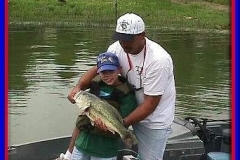 largemouth Saturday, he became the first Classic champion to take big-bass honors all three days of the Classic. On the final day of competition, Jayâ€™s dominance was clear. At the early morning launch, ESPN and other media were interviewing the anglers as they headed out. Their comments clearly showed that Jay had already won the psychological battle. Only a couple of pros talked of how they were going to beat Jay, but the huge majority of the pros talked not about beating Jay, but about how much they would have to catch to come in second. Entering Saturday’s final round with a lead of nearly 10 pounds, Yelas had eliminated most of the suspense in the race for the $200,000 top prize and one of the most important titles in fishing. As it turned out, that bass weighing 4-13 was enough to wrap up the most prestigious victory of his career. “This is just the thrill of a lifetime for me,” said Yelas, who joined the B.A.S.S. Millionaire Club with his $203,000 earnings. “I can’t tell you how much this means to my career and to me personally. 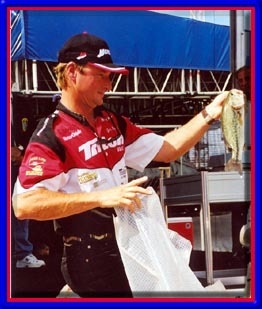 “Winning the Classic makes your career as a professional fisherman. The BASS Masters Classic is the pinnacle of bass tournament fishing.” Yelas secured a victory lap in the Birmingham-Jefferson Civic Center Arena before a standing-room-only crowd by bringing in four bass weighing 10-11 Saturday to boost his three-day total to 45-13 ahead of California’s Aaron Martens, who finished with 39-9 for second place. Yelas had little reason to change tactics in the final round. Once again, he fished in the shadow of the Logan Martin Dam, spending the morning casting to schooling bass with a Berkley Popper topwater plug and Berkley Frenzy deep-diving crankbait. When the dam’s turbines came to life about 10:15 a.m. and created current in the area, he again switched to a prototype Berkley Power Jig with a Power Frog trailer tied to 25-pound Trilene XT line. 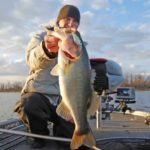 That strategy produced a mixed bag of largemouth and spotted bass, as well as the biggest bass of the tournament each day. Yelas even caught a 10-lb. striper, which he released. Yelas found that when the stripers would move on from an area, the bass would move in. “I think this was a really unique Classic because I don’t think anyone has ever won it fishing a tailrace,” he said. “It was a struggle today before they started generating water. I only had one small fish, but once the current started, I knew I was in pretty good shape.” And speaking of being in good shape, there was not one problem with any of the Skeeters or Yamahas, throughout the tournament, and that includes the camera boats the ESPN TV crews and outdoor photographers were using. 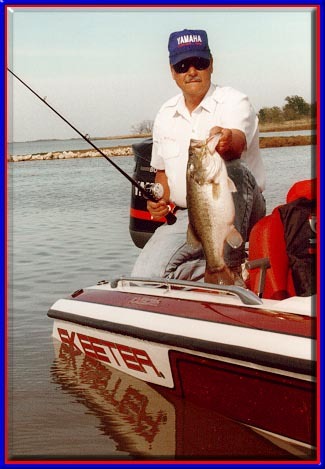 Yelas commented that the current near the dam was so strong that his trolling motor, even with 109 lbs. of thrust, had to run on full power just to hold him in position. Yamaha Tournament Support Crew Chief Chad Smith took a lot of good-natured ribbing with people calling him and the service crews “the Maytag Repairmen” a reference to the Maytag repairmen seen in the Maytag television commercials. While the results might have been the same, when so much was on the line, Smith and his crew, along with Skeeterâ€™s, made sure that the boats and motors were good to go and then some. 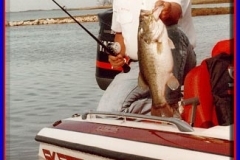 The final day of the Classic belonged to Yamaha and Skeeter. Not only were the teams dominating the competition, but the booths were jammed with fishing fans all week and Yamaha blue and Skeeter red dominated the daily weigh-in crowd. Skeeterâ€™s classic slogan “Eat. Sleep. 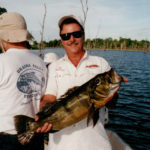 Fish.” were seen on dozens of t-shirts and Skeeter fishing hats were worn with pride. Yamaha blue was seen everywhere with giant large #1 foam fingers and thousands of kidsâ€™ shirts and hats. Hundred of fishing fans were buying fishing clothing and hats from both brands. Jayâ€™s wife, Jill, and daughters, Hannah and Bethany, were front row center in the family seating area just in front of the main stage surrounded by more than 14,000 screaming bass fans. Jill said that Jay had a real peace about his performance all the way through, although the thrill of the competition and the win clearly was evident in his face on the stage. On the night before the final competition, instead of heading to his room to prepare and rest for the biggest day of his fishing career, Jay instead went downstairs to lead a prayer meeting of the Fellowship of Christian Anglers Society. At the press conference following his win, Jay was asked if he thought heâ€™d ever win the Classic, having qualified 12 times. He replied that he felt God allowed him to win this time, because before he wasnâ€™t ready to handle the challenge of being champion before and that he needed to accept the humility and grace a champion needs to have. Those who know Jay would agree that he indeed can handle this load. After his victory lap, which included a confetti shower launched by air cannons throughout the huge coliseum, and answering many reporters at the press conference, Jay headed for the Yamaha and Skeeter booths where he was besieged by well-wishers and autograph seekers. Jill said that their daughters reflected the excitement the whole family felt, with Hannah even singing “God Bless America” in her sleep. When she woke up, she told Jay not to worry, that she knew he was going to win. In fact, many families got into the spirit. Brent Chapmanâ€™s family and relatives, one of the most vocal at the tournament, had special t-shirts and signs proclaiming themselves to be “Chapmaniacs” and Ken Christâ€™s family had bright yellow t-shirts made up proclaiming their loyalty to “Team Ken Christ.” When Clay Dyer, also a Skeeter pro, who we highlighted before the Classic and whose heroic life story appeared in the Birmingham paper right before the Classic, came into the booth, Jay saw him waiting patiently in his wheelchair. Jay immediately broke away from the long line of autograph seekers to accept Clayâ€™s congratulations and have his photo taken with him. As Jay moved to the Skeeter booth and later to a special Toast To The Champion party, he was like the Pied Piper, with a huge, growing entourage of fans all wanting to congratulate him and just touch him or have a photo taken with him. And even after a week of huge pressure and competitive stress, Jay took the time to visit with everyone and listen to them. His daughters were circulating in the lines handling out their fatherâ€™s trading card. BASS officials twice had to delay the start of the Toast of the Champions event to wait for Jay to finish with the fans. While his biggest fans are no doubt his family, next in line would be his fellow pro team members and everyone associated with Skeeter and Yamaha. Even his fellow pros wanted autographs! Dale Barnes said he thought the booths were jammed before Jay won, but no one could have predicted the sudden rush of humanity streaming into the booths following Jay. Best of all, there was a run on Skeeter and Yamaha catalogs as people wanted to learn more about the boat and motor Jay and the other pros use. One popular part of the Yamaha booth was its pro angling theater. A large-screen TV played promotional fishing videos showing the pros and the products and it was always filled. Jay and his family stayed on an extra day at the Classic site for additional official photography and in-depth interviews by B.A.S.S. media. One of the outdoor writers covering the Classic noted the huge presence created by Yamaha, Skeeter and G3 at the Outdoor Show, since all three exhibits were adjacent to each other. Plus, Skeeter and Yamaha each had separate displays designed solely to sell promotional clothing and products. So, who won in the end? Jay Yelas…certainly. 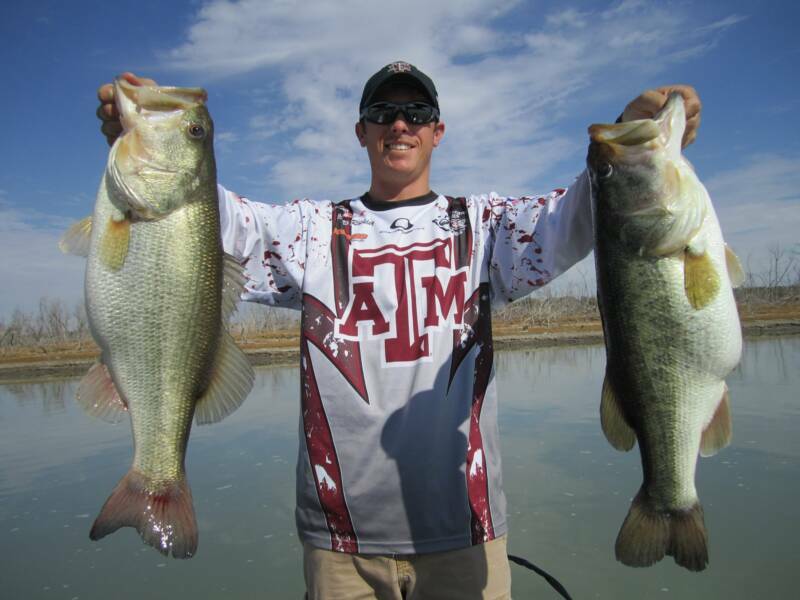 Bass fishing…absolutely. Yamaha, Skeeter and G3…completely and totally. The Classic was such a shot in the arm for everyone. Jayâ€™s win was awesome, and the competitive sprit of the other team members made it exciting, but the preparation by all concerned was evident. 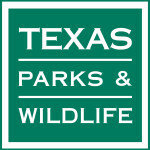 If youâ€™d like to see Jayâ€™s comments on prepping for the Classic, visit www.jayyelas.com.